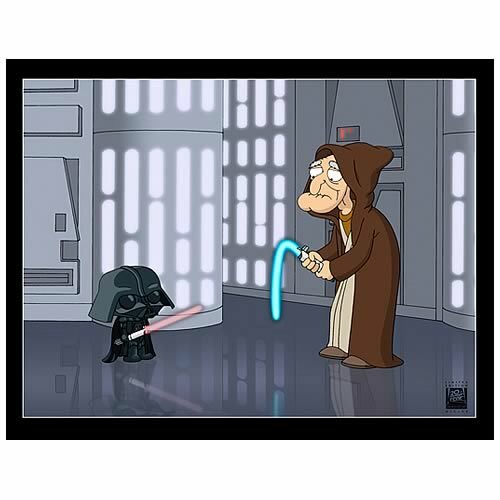 Geek Deal of the Day Is A Family Guy!!! Today’s Geek Deal are the Family Guy Star Wars specials. There are three specials combined into one set on bluray. The set is called “Laugh It Up Fuzzball”!! “Making the Scene”, an animatic, and an original voice over skit. You can get all of this for under $20.00. That is more than 50% off the original price. Take advantage while the sale lasts by clicking the link picture below. This entry was posted on Tuesday, March 15th, 2011 at 2:02 pm	and is filed under Film, News. You can follow any responses to this entry through the RSS 2.0 feed. You can skip to the end and leave a response. Pinging is currently not allowed. « Bryan’s Bluray/DVD Picks for the 3rd Week Of March!! !